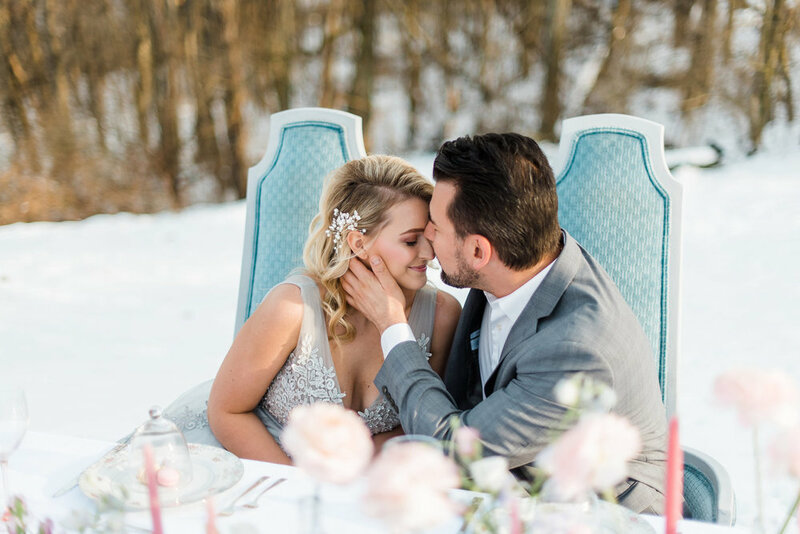 Romantic and whimsical winter wedding inspiration with a soft pastel color palette featured on Burgh Brides. 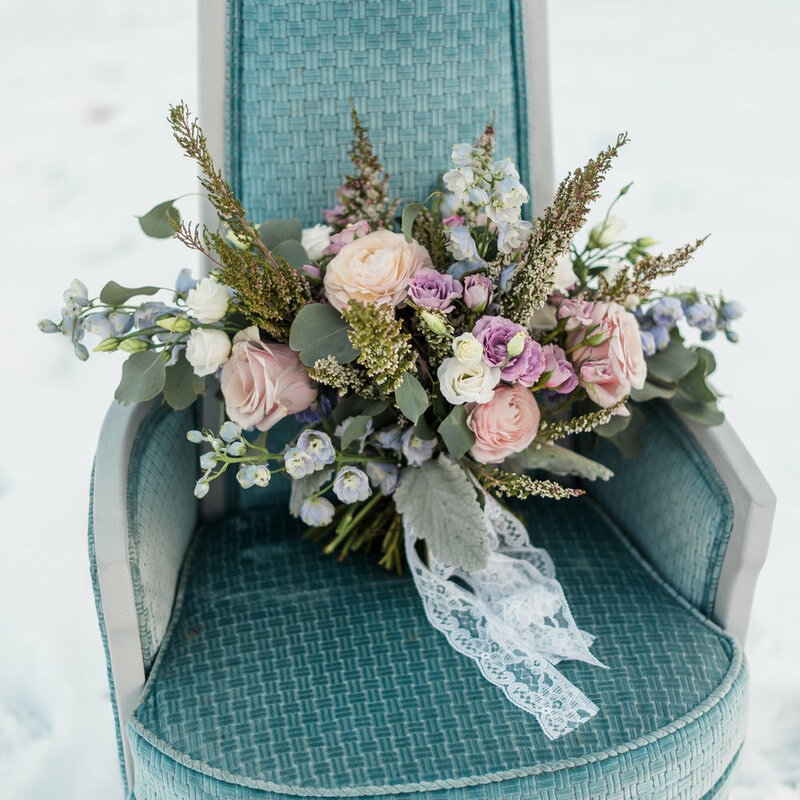 At the beginning of this year, a few of my “friendors” and I got together to play in the snow and pull together an impromptu styled shoot. 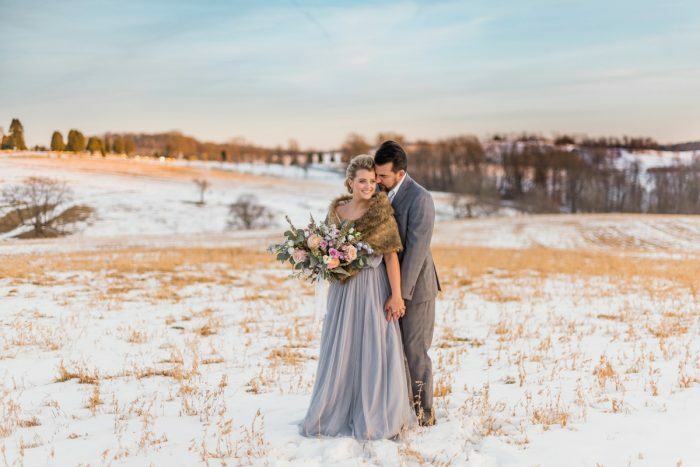 The shoot was featured on Burgh Brides, but today I thought I’d share it here in honor of winter being right around the corner! On Tuesday, with still just the start of an idea, I put out a message on Facebook to see who would want to do a spur-of-the-moment shoot that weekend. The result was an amazing team of wedding professionals who came together (most of them meeting for the first time!) to make some magic. We all had a blast collaborating on this project – each one of us throwing out ideas when inspiration struck. 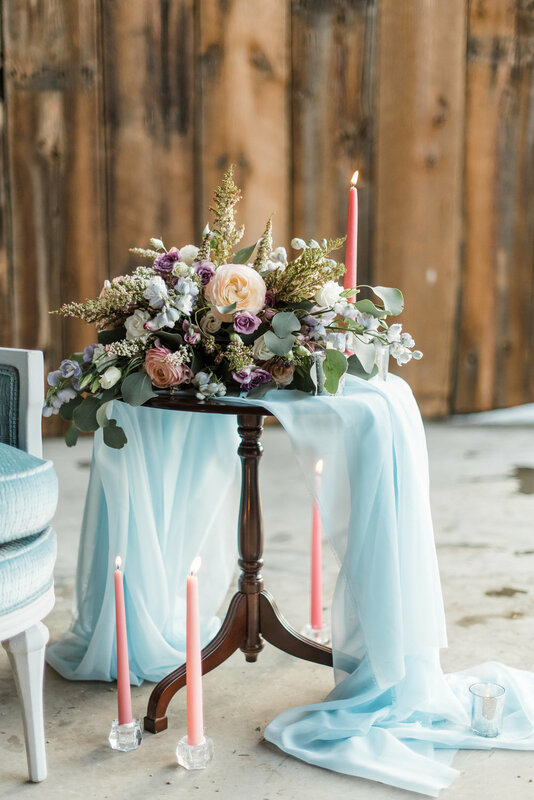 Even our models – a real couple who were recently engaged – chimed in with ideas and helped with set-up! This whole experience was a prime example of the spirit of “community over competition” that makes Pittsburgh's wedding industry so special! Don’t forget it, Pint it!